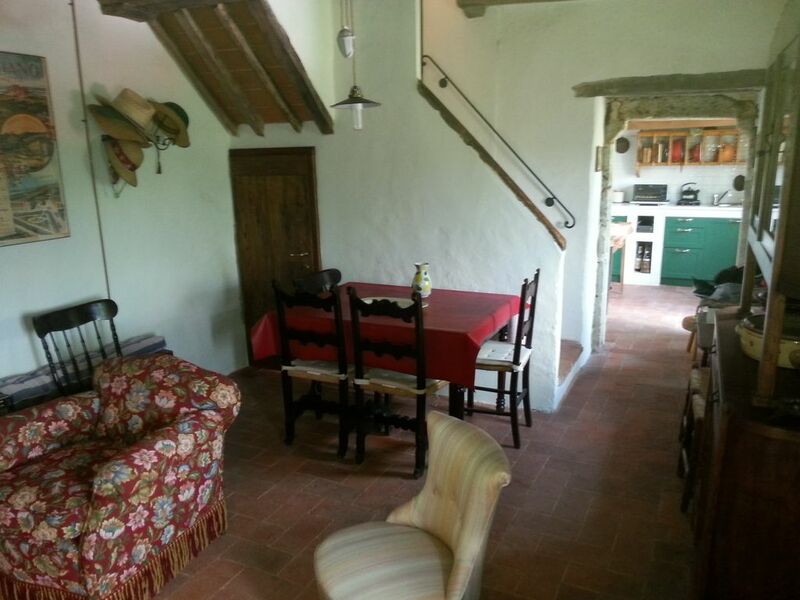 The house is traditional tuscan country home that has been completely refurbished with modern comforts but at the same time maintaining it's original character. It's position is one mile past the the village of Santa Colomba, which is only 8 miles from Siena, immersed in the typical Tuscan countryside, surrounded by castles and small towns. it is the perfect solution for exploring central Tuscany, including Siena, Florence, Chianti, Volterra and Val D'Orcia. There is a large garden where you will be able to prepare bbq and dine. The house is on three levels: On the ground floor there is a double bedroom with fireplace and bathroom, on the first floor you have the main entrance, kitchen and living room with fire place. On the top floor you have another double bedroom, a bathroom and a single bedroom.